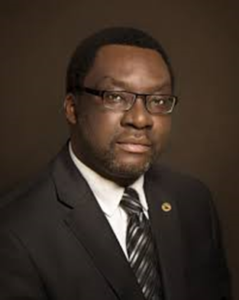 Steve Ayorinde, journalist, author, publisher, media consultant and administrator has more than 24 years experience as a multiple award-winning journalist, social media buff and newspaper Editor. His career started in 1991 at The Guardian newspapers in Lagos, which was renowned as ‘The Flagship’ in Nigerian media space at the time. He was a pioneer staff of The Comet where he edited the Arts, Entertainment and Media section between 1999 and 2003 after which he joined The PUNCH, Nigeria’s largest circulating newspaper. He worked there in various capacities, first as Arts Editor, United Kingdom Correspondent, Member of the Editorial Board and ultimately as Editor of the daily title. It was in PUNCH he started his popular back-page column, Something Before the Weekend, which ran every Thursday. He later worked at National Mirror, first as the Editor/Executive Director in charge of Publications and later as Managing Director/Editor-in-Chief between 2010 and 2013. He has since practised as a syndicated columnist and Media Consultant and Strategist. He was the Director of Media and Communications to the Akinwunmi Ambode Campaign Organization between September 2014 and April 2015. A product of Obafemi Awolowo University, Ile-Ife Steve was also educated at the University of Lagos, Akoka and University of Leicester, UK where he earned a Master’s degree in Globalization and Communications. Well travelled and a polyglot, Steve is a European Union Fellow at the Foundation Journalists-in-Europe (1997-98 set) – a comprehensive one-year training scheme for mid-career journalists. He is also an alumnus of the prestigious State Department’s International Visitors’ program (IVP) in the United States; Goethe Institute, Berlin and University of Siena for Foreigners, Italy. He has authored three books: Masterpieces: A Critic’s Timeless Report (Spectrum Books, 2008); Abokede: The man, the hill, the city (ArtPillar Books, 2011) and Cascade of Change: A Decade of Liberal Thoughts (Liberal publishing, 2015). He also edited For Law, For Country: Conversations with the Bar and the Bench (Global Media Mirror Publications, 2012). Next PAST COMMISSIONERS OF THE MINISTRY OF TOURISM, ARTS AND CULTURE.